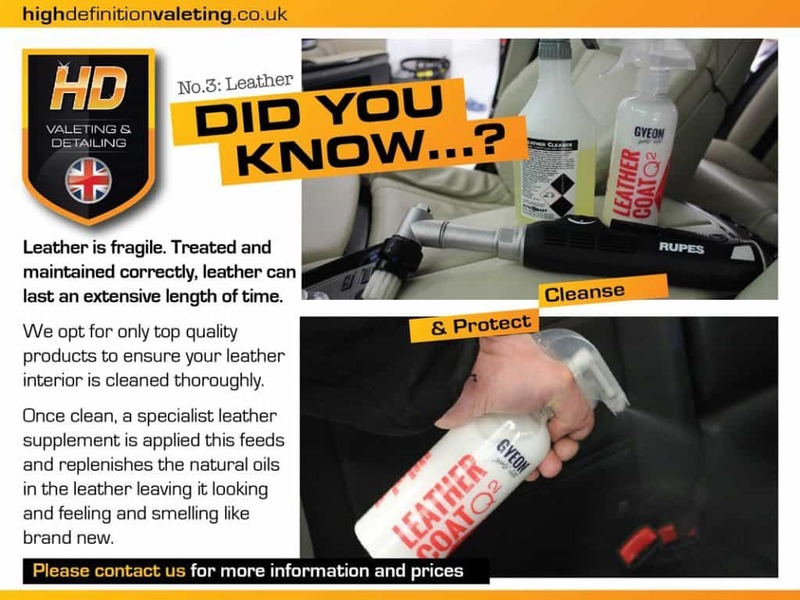 HD Valeting & Detailing can provide specialist leather cleaning in Norfolk and the surrounding area. We can clean all types of leather to a high standard to ensure your leather upholstery is left clean, fresh, supple and residue free to help avoid re-soiling. Cleaning leather upholstery requires a completely different approach to cleaning fabrics.